The end of the summer was a particularly busy time for our team with a few larger projects. We already mentioned one of the ones in Gloucester in a recent case study, and at the same time we were completing a similar large project closer to home in Yorkshire. A homeowner recently contacted our company as they were in the process of having a large extension added to the rear of their property. 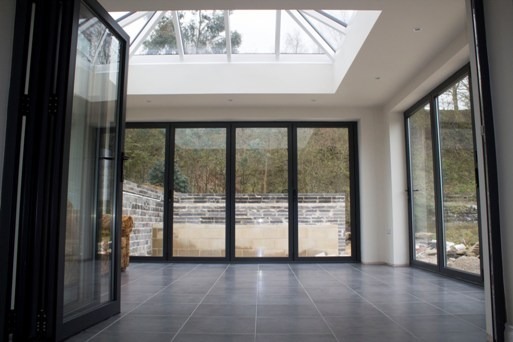 After an initial discussion with our team and a few queries and questions having been answered, it was agreed that a mix of bi-folding doors, slide aluminium windows and fixed aluminium windows would be the best option in this scenario. 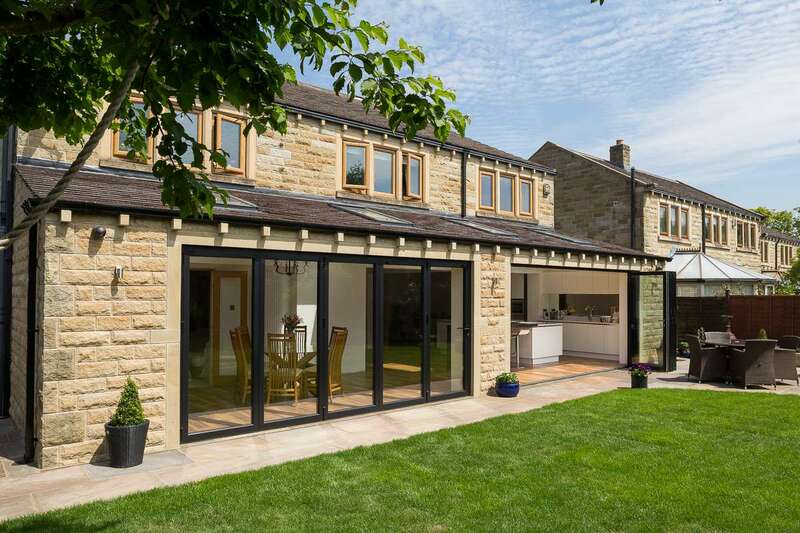 In total, there are two aluminium door sections, on the bottom of each side of the house, a window in another extension room and one of the bedrooms has two fixed larger windows. As with all our products, only the very best materials are used, hence why we use aluminium supplied by leading company AluK. All the glazing on the products are 4mm toughened with a float outer. They have a 20mm argon filled cavity and then a 4mm toughened / float low-e inner. The 3 pane fixed window to be 6mm toughened outer with a 16mm argon filled cavity and 6mm toughened low-e inner. It is all high efficiency glass. 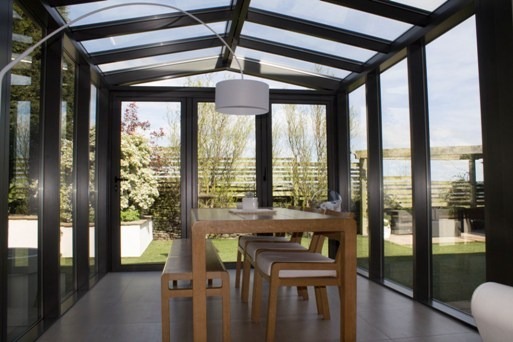 As always, Clear View operates a 10 year guarantee covering, the aluminium, glass, powder coating on all our products, and where installed by our team, on that too. To ensure the homeowner feels safe within his own home, all doors come with Anti-Bump, Anti-Pick, Snap Secure and Kitemarked high security locks as standard. 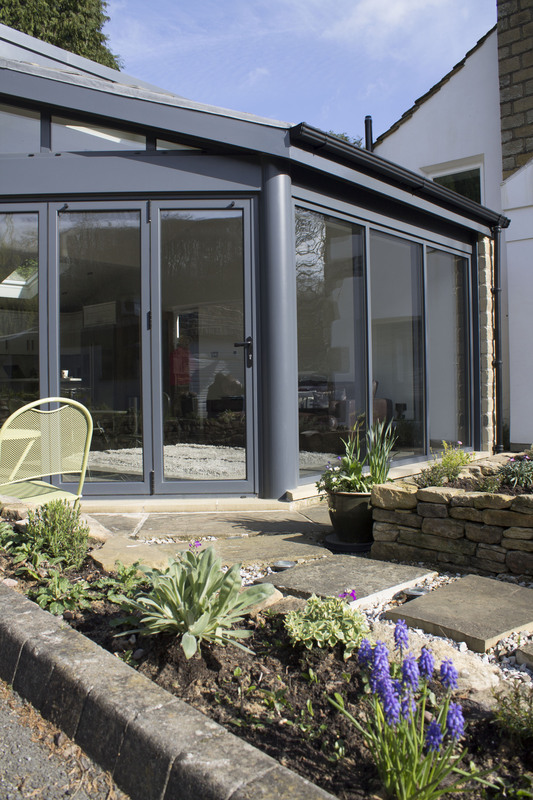 Clear View is committed to providing the very best sliding, bi-folding and patio doors, as well as aluminium windows for both domestic and commercial applications. For more information, please contact us on: 0800 1357167.